Cheat your enemies out of a victory - available now on PS4. 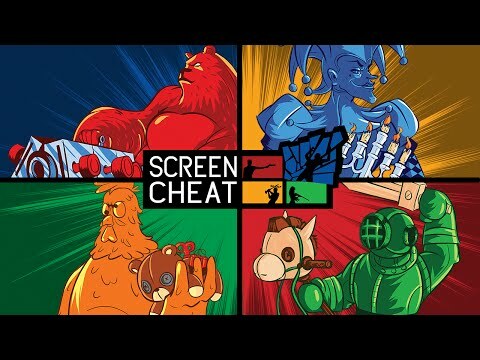 Jump into the ultimate mad-cap party experience where the only way to win is to cheat – screencheat, that is. You can’t see your enemies and they can’t see you: keep a sneaky eye on your oppositions’ screens to figure out where they are before taking aim and hopefully catching them out. With a hilarious array of instant-kill weapons to collect – from a trusty blunderbuss to an explosive-packed teddy bear – the emphasis isn’t so much on dead-eye marksmanship as expert tracking skills. Explore 11 maps and 9 distinct games modes as you try to out-manoeuvre friends and rivals in the screen-cheating stakes. A moving target is the hardest to pin down: use trampolines and air vents dotted around each arena to keep your enemies guessing.